Mohanlal has a jam-packed season ahead of him. He is currently shooting in Mangalore for Kayamkulam Kochunni, in which he plays the role of iconic robber Ithikkara Pakki. Rosshan Andrewss is directing the movie which stars Nivin Pauly in the lead role of Kayamkulam Kochunni. Mohanlal has given 15 days for the movie after which he will be joining the final schedule of Odiyan. He also has Bhadran’s road movie and Prithviraj’s Lucifer coming up. Latest buzz is that the superstar is in talks with legendary filmmaker Mani Ratnam for a Tamil movie. Though nothing has been confirmed yet, fans are already excited about it. The duo have previously worked together in the 1997 film Iruvar. Mohanlal’s performance as the actor-turned-politician Anandhan in Iruvar is considered to be his one of his finest till date. Fans and cinephiles are hoping that the rumours turn out to be true and they come up with another classic like Iruvar. Meanwhile, Mani Ratnam is busy shooting for his upcoming multi-starrer Chekka Chivantha Vaanam (CCV). The movie has a huge star cast comprising of actors like Vijay Sethupathi, Arvind Swamy, Simbu, Arun Vijay, Jyothika, Aishwarya Rajesh, Aditi Rao Hydari, Prakash Raj and many others. CCV is said to be a socio political drama which will have music by AR Rahman. 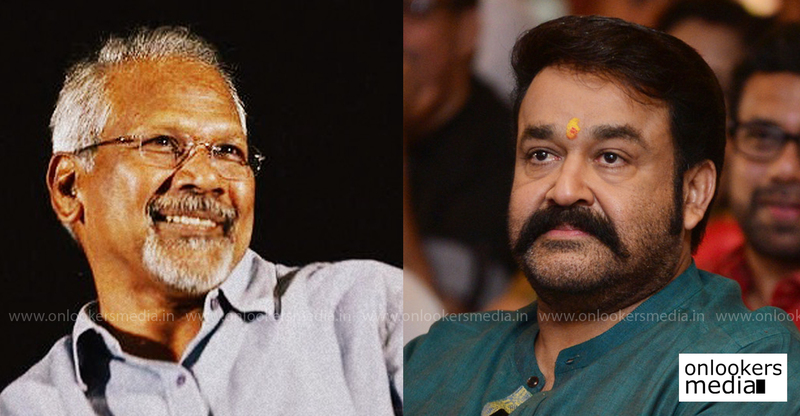 Stay tuned to this space for more updates about the rumoured Mohanlal-Mani Ratnam movie.